The Reebok BOGO Kids Footwear deal starts today and runs through 4/22. Use promo code BOGOKIDS and save big. Shop the Reebok $29.99 Footwear Collection and get it all for only $29.99 with promo code DEAL29. Code is only valid today and tomorrow. Running, retro and and lifestyles are all included. THIS IS NOT A JOKE. Extra 50% off sale items extended through 4/2! Just got this email a couple of minutes ago. I’m supposed to get my two pairs on Wednesday. Can’t believe I get both pairs for less than the price of one! 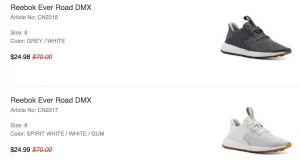 Last Thursday I pulled the trigger on the Reebok shoes that had been sitting in the cart for days, then added a second pair – paid only $50.09 for both pairs! Just got email that they’ve already been shipped! Use promo code EXTRA50 – this is the last day it’s valid. Pulled the trigger on the Reebok deal! 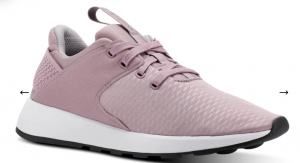 Well, I finally pulled that trigger on the Reebok shoes that have been sitting in the cart for days now – figured that extra 50% off clearance wasn’t going to be around much longer and omg, that’s a great price. Only had the grey pair in the cart, but then you have to pay shipping, so I figured, why not get a fancy-schmancy white pair for a wedding or something – god knows it won’t stay white for long with my lifestyle! So paying $50.09 with tax for shoes that normally sell for $70 each gives me warm fuzzies. Use promo code EXTRA50 and save – no idea of when the code expires. I love these shoes and wear them even when I’m not heading to COD people who know me are shocked! Super lightweight and super cheap with promo code EXTRA50. Only $24.97 plus $5 shipping; couple of pairs of any clearance styles to hit free shipping threshold. Starting today, buy one Core Product and get a second for only $10 with promo code GET2! Footwear for the entire family for less! 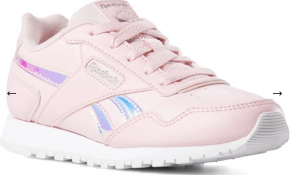 Shop Reebok Walk Collection $29.99! Starting today, grab some shoes from the Reebok Walking Collection for only $29.99 + Free Shipping with promo code WALK29.